Many individuals are misinformed about Down syndrome and do not know how to treat individuals with this disability in society. Social media allows people to portray individuals with Down syndrome as different, retarded, and funny looking. People who discriminate against those with Down syndrome range from ages eighteen to twenty-five. This considers that those under the age of eighteen are not yet responsible for their own public opinion. They are the people posting funny pictures with captions of people with Down syndrome on social media. People such as those presented above discriminate against those individuals with Down syndrome but yet, they do not know what the real diagnosis of Down syndrome is. They generally classify all disabilities into one classification-“retards”. This website will provide those individuals using social media to discriminate against people with Down syndrome a better understanding of how inaccurate their stereotyping is. The hope is that after viewing this website the discriminators will have factual knowledge of the syndrome. There is also hope they will discontinue their discrimination against these individuals through social media. Most of the people viewing this website have viewed one of the many photographs on social media of an individual with Down syndrome with a funny caption underneath it. Of course you have probably laughed at such an image, but has it ever crossed your mind that this person is as “normal” as the rest of society? Individuals with Down syndrome have different physical features than the “normal” human, but every human being has their own unique set of characteristics. Individuals with Down syndrome have slanted eyes, a rounded face, a protruding tongue, and small ears. These physical features cause their outward appearance to differ from that of a “normal” person. The question then becomes, “who decides what “normal” represents?” Are children born with Down syndrome so different from children who are born of African American, Indian, Chinese, Japanese, or any other ethnic or social descent. Parents believe their child will be discriminated against because of the information they view on social media. The discrimination taking place appears on sites such as Facebook, Twitter, and Youtube. Every day when someone logs on to Facebook there is at least one image or article discriminating against individuals with Down syndrome. This website will look at videos, articles, and photos from social media that discriminate against individuals with Down syndrome. 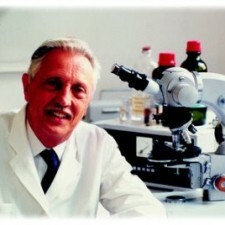 Down syndrome was discovered in 1959 by French physician Jerome Lejeune (Goodwin and Moulton 1). Lejeune discovered the extra copy of the twenty-first chromosome (Goodwin and Moulton 1). There are three different forms of Down syndrome. All three will be discussed to provide a solid foundation for understanding what Down syndrome really is. The three types of Down syndrome include Trisomy 21, Mosaicism, and Translocation. Down syndrome or Trisomy 21 is a genetic disorder that occurs when there is an error in cell division and results in an extra chromosome (Goodwin and Moulton 2). Most individuals have twenty-three pairs of chromosomes resulting in forty-six total chromosomes. Individuals with Down syndrome have a total of forty-seven chromosomes due to an extra copy of the twenty first chromosome (Goodwin and Moulton 2). Down syndrome is the most common disability in America affecting one in every six hundred and ninety-one children born (Goodwin and Moulton 1). The estimation of people in the United States with Down syndrome is roughly around four hundred thousand people (Goodwin and Moulton 1). Translocation is another type of Down syndrome. Translocation occurs when part of chromosome twenty-one breaks off and attaches to another chromosome and results in similar characteristics as Down syndrome (Goodwin and Moulton 3). Mosaicism is the last form of Down syndrome and results from division of chromosome twenty-one in all cells after fertilization (Goodwin and Moulton 2). Mosaicism differs from Trisomy 21, because there is a mixture of cells containing forty-six or forty-seven chromosomes. The individuals with this disability are still a contribution to society even though they have different physical characteristics. Studies show that most instances of children born with Down syndrome occur in females who decided to have children later in life, after age thirty-five (Goodwin and Moulton 3). The chance of a woman producing a child with Down syndrome at age 35 is one in three hundred fifty (Goodwin and Moulton 4). That rate increases drastically at age forty-five, being one in thirty (Goodwin and Moulton 4). Statistics show that 92% of babies with Down syndrome are aborted (Lyons 2). Prenatal testing can be used to determine if a child will have Down syndrome. Down syndrome is not a severe disability, but most doctors tell their patients that these individuals will be a burden and have multiple health problems (Lyons 2). Doctors also inform their patients that they could put the child in a care facility. Parents are not provided with enough information and they are concerned their child will be discriminated throughout their entire life. For many families it appears abortion is the the only solution. for this child. Years ago individuals with Down syndrome would live a short life, but now with all the medical advances that expectancy had increased (Goodwin and Moulton 5). Individuals with Down syndrome are becoming more integrated into society (Goodwin and Moulton 5). These people now work, attend school, and are part of our healthcare system. All of this information pertaining to Down syndrome is on the Internet, but people do not look for the important information they look for the funny, derogatory, and malicious comments and pictures.